Photo: Senator Dino Melaye finally picks up his statement of result from Ahmadu Bello University – Royal Times of Nigeria. 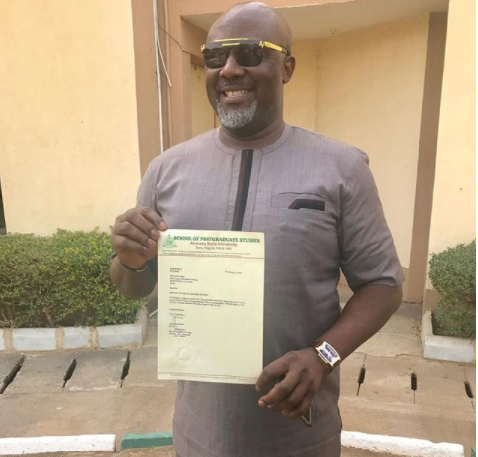 Senator Dino Melaye has finally picked up and showed off his statement of result from Ahmadu Bello University which has been a controversial issue in the past year. According to him, ‘Praise God. My statement of result from Ahmadu Bello University collected today. Masters in International Relations and Diplomacy. Oluwa nonii’.